The Nashville Predators beat the Anaheim Ducks 6-3 tonight to win the Western Conference Finals in six games. Nashville will now advance to their first-ever Stanley Cup Final against the winner of the Ottawa-Pittsburgh series. The Predators got it going early tonight, scoring twice in the first nine minutes. Colton Sissons scored in the first period, and he finished with two more to secure Nashville’s second postseason hat trick in franchise history. Anaheim has reversed many deficits this postseason, and they tied the game up at 3-3 in the third, but Sissons nailed the go-ahead goal before two empty-net goals sealed it. 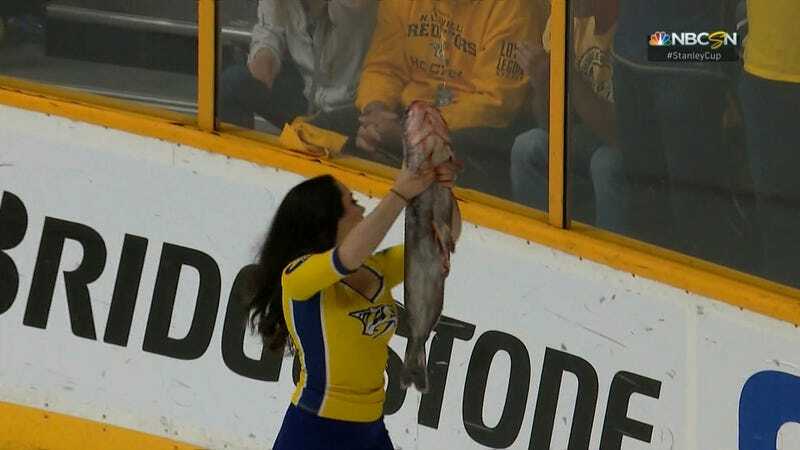 Naturally, it was catfish time. The Stanley Cup Final starts next Monday. Hopefully the Titans bring the brews.